I Spent My B-Day Tweeting UPS. – the ajayi effect. 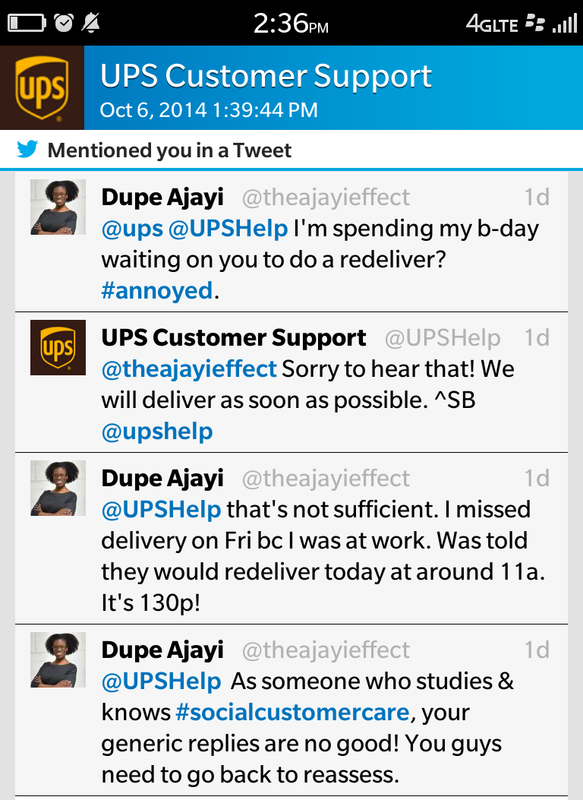 I Spent My B-Day Tweeting UPS. Yesterday was my birthday. 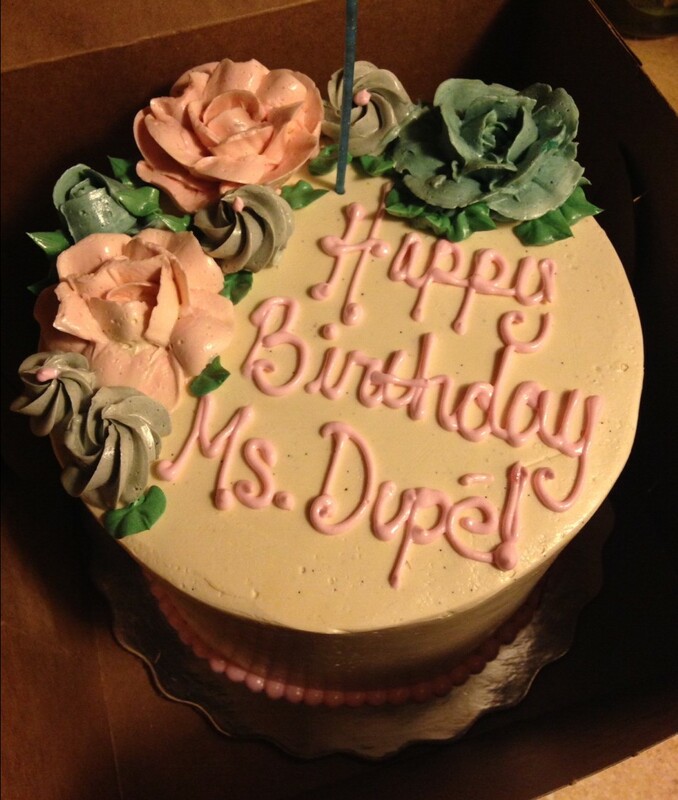 The day ended well, with my little sister presenting me with the cutest birthday cake I ever laid my eyes on. The top of the day…that was a different story. When the clock hit 2 p.m. and I still hadn’t heard from UPS, I was livid. And so, I started to do what any Digital Strategist who is obsessed with social customer care would do. I tweeted. After waiting and waiting, I had no choice but to leave the house. 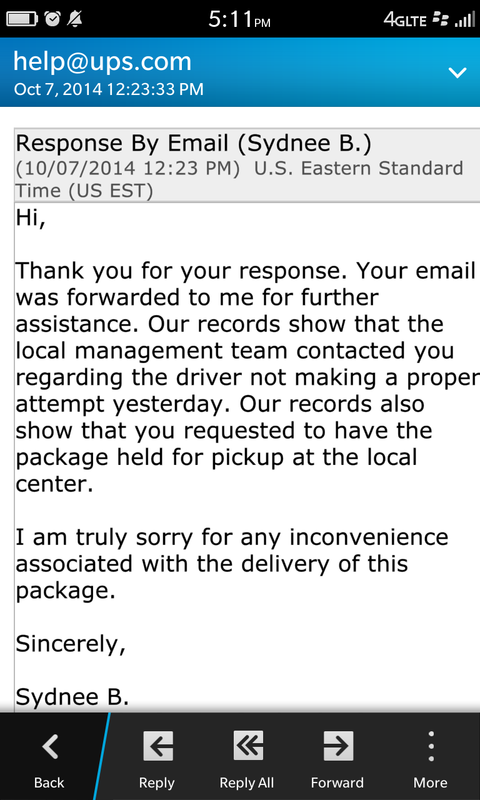 I admit that I was impressed that UPS was trying really hard to resolve the matter. Where they failed was with the off-line component. Perhaps this system could have been better if it were connected to the driver and used GPS to give a real-time update. Then, I would have been prepared for the wait and/or known to go about my business. The irony is after all of that, I still have to go to Maspeth, NY (?) to pick up the package and have just 4 days before my phone is shipped right back to T-Mobile. Gotta love it. Ello: Beautiful? Yes. Simple? Ell No.